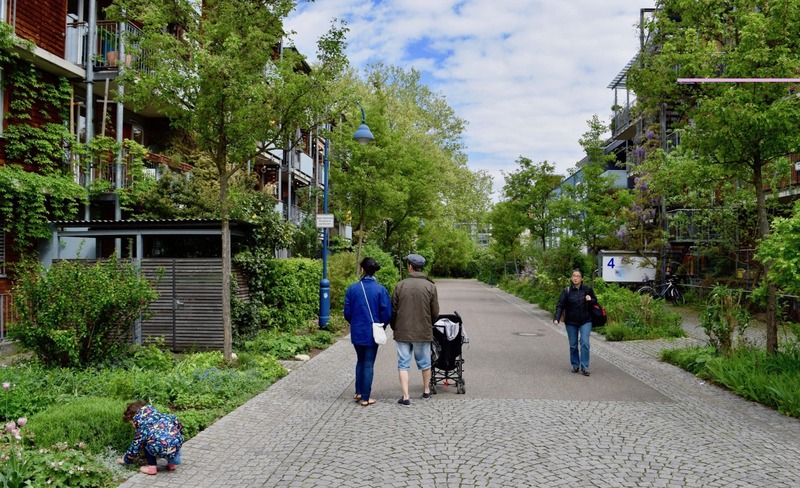 At the end of April we took the office on a study trip to Vauban, an exemplary sustainable neighbourhood in Freiburg, Germany. Vauban is a suburban neighbourhood built on a disused former military base. It has been planned to prioritise cyclists, pedestrians and children’s street play over car use and demonstrates what can be achieved with a community led approach to suburban regeneration.